In 2016, solar energy was the largest source of new generating capacity in the United States, according to the U.S. Department of Energy. With more than a million U.S. solar projects now operating, the country has more than 35 gigawatts of total solar installed capacity — enough to power the equivalent of 6.5 million average American homes. Nearly half of all rooftops cannot host solar due to insufficient roof space, lack of control over the roof (renters, condos) or shading. Although the federal Investment Tax Credit has grown the solar market, it excludes individuals and organizations with no federal tax liability, such as cities, non-profits, low-income individuals and retirees. Low-income populations face even greater challenges, often due to poor roof conditions, lower than average credit scores and lack of access to affordable financing. And yet, these communities stand to benefit the most from going solar — from stabilizing energy costs to reducing air pollution. 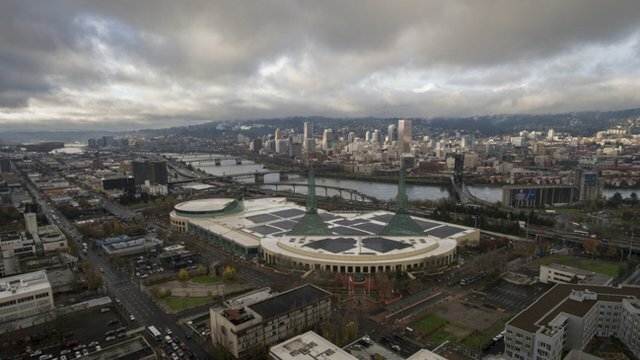 Cities can now go solar through the Solar in Your Community Challenge, a program launched by U.S. Department of Energy’s SunShot Initiative to expand solar access to those who have been left out of the growing solar market. The challenge encourages the development of innovative financial and business models that serve low- and moderate-income communities, local governments and non-profits. Offering $5 million in cash prizes and technical assistance over 18 months, the challenge supports local teams across the country to develop programs or projects that bring solar to these segments of their communities, while proving that these business models can be widely replicated and scaled up. Local governments, which own approximately 10 percent of commercial buildings (schools, office buildings, public assembly buildings, etc. ), spend approximately $14.7 billion on electricity –12 percent of total commercial building expenditures. Solar energy can cut cities’ monthly electricity bills and make funds available for other priorities. The solar industry is a proven driver of job growth. As deployment has soared, so have solar jobs—there are nearly 209,000 solar workers in the U.S. today, with more than half of them in installation jobs that can’t be outsourced. Further, these workers are paid competitive wages, with installers making a median wage of $21 per hour. Low-income households pay a large portion of their income toward electricity bills. An analysis by Groundswell found that the lowest income households spent nearly 10 percent of their income on electricity, over four times more than the average consumer. Access to low-cost solar can provide price stability and bill relief to low- and moderate-income households. Cities around the country are facing increased threats from natural disasters and are taking steps to plan for them. During extreme weather events, solar energy can help prevent outages, provide energy for critical facilities and aid in recovery efforts. Solar can also provide energy to remote areas. Using solar power instead of traditional forms of energy reduces the amount of carbon dioxide, nitrous oxide and other pollutants that are emitted into the environment. Reducing the amount of pollution translates into cleaner air and water and improved health. Program teams create new programs that enable the installation of solar for use by low-income households, governmental organizations, and non-profits. Program teams will be led by governments, utilities, or financial institutions. Project teams develop and install a new solar system or a portfolio of systems that benefit low-income households, governmental organizations, and non-profits, using innovative and scalable business practices. Project teams can be led by anyone, but should include a combination of key organizations like cities, solar developers, utilities, financial institutions and community organizations. The application deadline to participate in the challenge is March 17, 2017. Visit Solar in Your Community Challenge website to learn more about the challenge and to apply.